Imagine you’re traveling and come upon a stray animal. A missing dog, scared and lost. Defenseless kittens, hungry and vulnerable. What would you do? Where could you take them? Save a Stray helps you locate, call and get directions to the nearest animal rescue shelters. With three taps you can find a shelter, as well as obtain its listed phone number, address and directions from your present location. You can also center your search elsewhere using city, zip code or neighborhood name. A little time spent can mean the world to a lost animal. Save a stray. This is a wrenching scenario for all who care about animals. After all, what if your own pet were standing there? Use our guidelines for providing safe and effective help. A strange, frightened, and possibly sick or injured animal can behave unpredictably. A sudden move on your part, even opening your car door, can spook her and cause her to bolt—possibly right onto the highway. If the animal looks or acts threatening, or if you feel uneasy about the situation, stay in your car. If possible, restrain the animal. Create a barrier or use a carrier, leash, piece of cloth, or length of rope to keep the animal in the area. Signal approaching vehicles to slow down if you cannot confine the animal, or divert traffic around him if he appears to be injured and is still on the roadway. If you are certain you can get help from animal control very soon, try to lure the animal into your car with food, close the door and wait for help. In most cases it isn't a good idea to attempt to drive somewhere with a strange dog unrestrained in your car; he may become frantic or aggressive. Cats may do the same, as well as lodge themselves under the car seat, and it can be dangerous trying to extract them. If you're not able to safely restrain the animal, call the local animal control agency (in rural areas, call the police). Do so whether or not the animal is injured, and whether or not she is wearing an identification tag. Leave your phone number with the dispatcher, and try to get an estimate of how long it may take someone to respond. If possible, stay on the scene to keep an eye on the dog or cat until help arrives. Make sure you report to authorities precisely where the animal is by using road names, mile markers or landmarks. If you are able to transport the animal, take her to the nearest animal shelter. If you plan to keep the animal in the event no owner is found, notify animal control that you have the animal or that you have taken her to a veterinary hospital for treatment. You can usually place a free "found" ad in your local newspaper or on sites like Craigslist. Keep any identification, such as collar or tags. If you decide to try to find the owner yourself, be sure to contact your local animal shelter or animal control office first. This will give you an opportunity to let the appropriate agency know that you have the animal and to provide a description to them, in case the owner contacts them. Also, have the animal scanned for a microchip ; this quick ID check could help you find the owner right away. Before bringing the animal home, make sure you can keep your resident animals separate; the found animal could be sick, fearful or aggressive with other animals. Once you have him safely at your home, take pictures and create a “found pet” flier to post around the area in which the animal was found. You can also post notices at veterinary hospitals and on websites such as petfinder.com. To check on any relevant laws in your state, county, or town and contact your local animal control agency, humane society or SPCA Many times the animal you find along the highway will turn out to be un-owned, unwanted, and unclaimed. 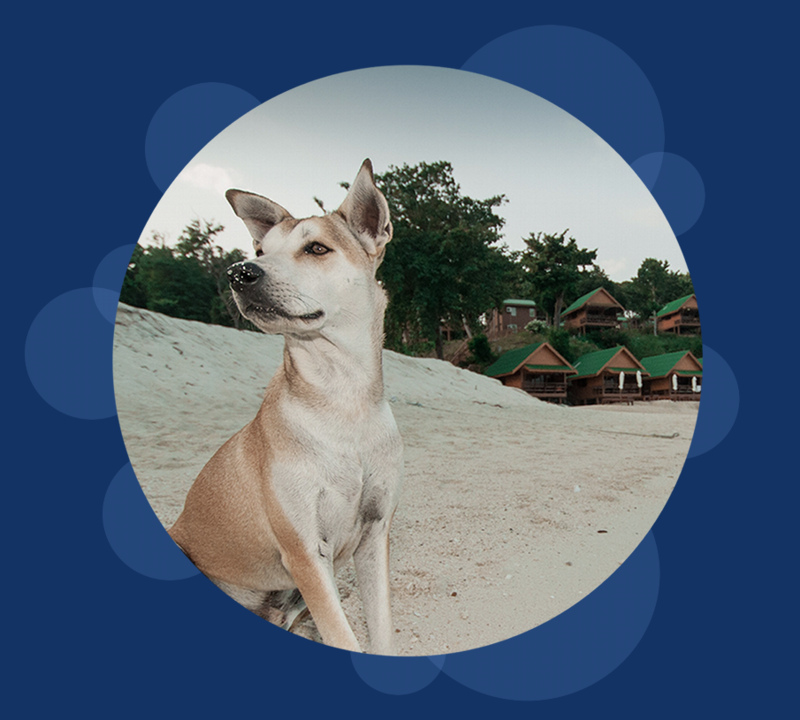 Even so, the person finding the stray dog or cat does not automatically become the owner or keeper until he has satisfied certain state and/or local requirements. Understand the limitations of shelters and animal care and control agencies. For instance, you can take a badly injured stray dog to animal control and find out that the agency is unable to provide expensive surgery to treat the dog's injuries. In those cases, shelters may euthanize the animals to relieve their suffering. Virtually all animal control facilities have severe budgetary or space limitations and must make painful decisions about how best to allocate their inadequate resources. Before you take an injured animal to a private veterinary hospital for treatment, be willing to assume financial responsibility for the animal. Good care is not cheap, and many veterinarians have many Samaritans in their waiting rooms every year. Anyone who is committed to trying to save injured stray animals should discuss these issues in advance with the veterinarian. Finally, be honest with yourself in answering these questions: Are you willing to add him to your household? And will you be willing to return him to his original home if the owner turns up after you've started to form an attachment? If you answer “no” to these questions, your best option may be to take the animal directly to the shelter or contact animal control for assistance. Why isn't my favorite shelter listed? Shelters listed in Save a Stray are gathered from 100% Yelp data. At the time of writing, Yelp offers the most comprehensive coverage of animal shelters across the United States. If you know of a great animal shelter that isn't appearing in the results, encourage the owners to create a Yelp listing for their business. If it is listed under the category of "Animal Shelter" and has either a phone numer or valid address, it will be collected by Save a Stray. Hooray! How are these results organized? As of version 1.2, results are listed in order of distance. The closest results should be towards the top. If a shelter lists neither a phone number or valid physical address, they will not appear in the results. Does Save a Stray work world-wide? Save a Stray will work wherever there are animal shelters listed on Yelp: predominantly North America but also across the pond. Besides encouraging more shelters to create a Yelp presence, consider volunteering and donating resources to your local animal shelter. Most shelters are short of staff and supplies needed to support the demands they face. Check their websites for wish lists or call them to find out what's in short supply. How do I contact the developer to send praise and kitten photos? She may be reached at SaveAStrayApp@gmail.com. Puppy photos are also accepted. Save A Stray ("us", "we", or "our") operates the Save A Stray mobile application (the "Service"). Save a Stray doesn't collect your data whatsoever. When you enter in your current location, or a city or zip code, that gets sent straight to Yelp to gather data on animal rescue shelters in that area. The data is never saved or cached. Thanks to the people who helped make this app possible!